Through this Search Box, you can Find & Book any package and get Voucher immediately. Komodo Wisata Tours and Travel are professional tour operator for Komodo island tours and Flores tour package. We always running special offer and individually designed tour packages, especially for Komodo and Flores island tours. 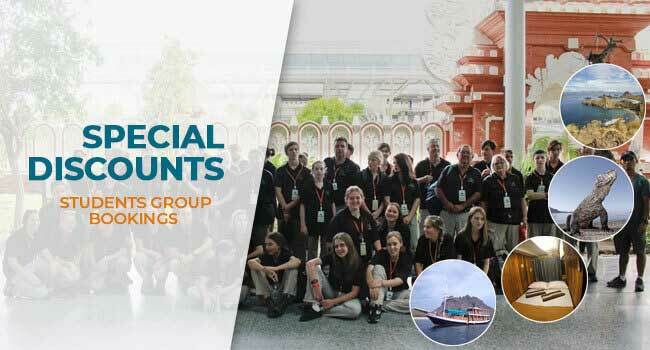 What we offer are the most recommended tour packages, such as 3 days Komodo island tour, and many more. We did select top tour packages for your great Komodo adventures. Our teams are well trained and have been years experience in arranging Flores tour and Komodo tour package. We trust that we could show you the truly beautiful island of Komodo and Flores. 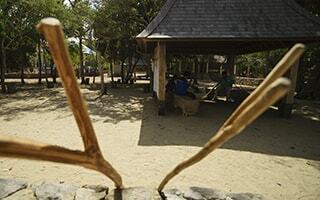 You can book and find more our recommended Komodo island tours details through the search box. Beside Flores tour and Komodo tour packages, we also arrange Sumba island tours, Lombok island tours, and Bali tour packages. Why should you visit Komodo National Park? Komodo National Park has been one of the great Indonesian National Park. It is consists of small islands, such as Padar, Rinca island, and many more. 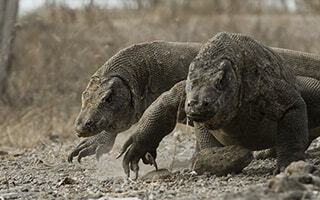 The main attraction to be visited is the Komodo Dragons. 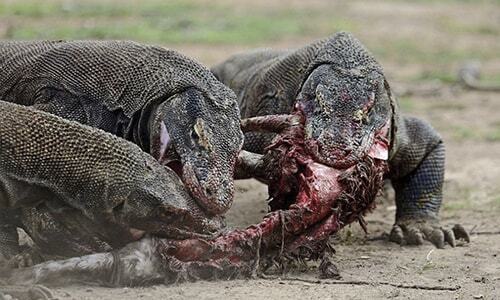 Komodo National Park is the only place in the world where you can find Komodo Dragons. It is the National Park which is inhabitant around 5.700 giant lizards. Komodo Island is the UNESCO World Heritage site and the New 7 Wonders of Nature. It is an island of paradise which attracts a million eyes of world travelers. The Komodo National Park also offers a breathtaking view, especially on Rinca and Padar Island. It is pure nature and a stunning landscape view over the small islands around Rinca. Padar island offers a beautiful view of the great island formation. It is a great place for having a sunset. Kalong island is the island where you can see the flying foxes. While Kanawa offers a breathtaking view, clear water, and crystal corals. It is a suitable place for snorkeling. Furthermore, Manta Point is one of the best snorkeling spot, especially the chance to see Manta rays. Where to start the Komodo island tours? The most tour packages starting point is from Labuan Bajo. We provide free transfers from Labuan Bajo Airport or your hotel in Labuan Bajo to the harbor. Most Komodo island tours from Labuan Bajo are scheduled in the morning. If you start the Komodo island tour from Bali, you need to book a morning flight from Denpasar. Another option is booking a boat trip package 4 days and 3 night from Lombok. The trip will use the local phinisi boat. This option is suitable if you want to visit some beautiful islands beyond Lombok and Sumbawa. We also offer the tour packages to Komodo from Maumere, central Flores. Visit other places such as Kelimutu lake and Koka beach, and then continue to Komodo island. The Komodo National Park has been a great Indonesia tourist destination in the East Nusa Tenggara. The attraction of Komodo Dragons and other island surrounds make most travelers have decided to visit this National Park. Indonesia has 2 seasons of the year, rainy season and dry season. The rainy season is from September to March and dry season is April to September. Due to the climate changing, so the rainy season is not coming really large, as well as the dry season. According to the climate, the best time to visit is April to September, during the dry season. But actually, you can do the Komodo island tours all the year regard to the changing of the climate. We pointed out that from October to December, the raining season is not really coming all day. So you can still do during these months of the years. The big raining season is coming from January to March. 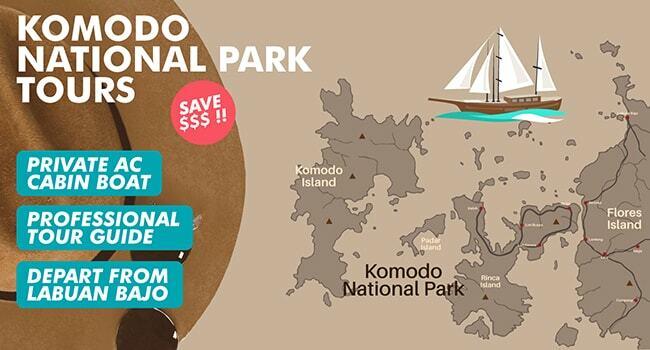 During these months, you may not plan to do a Komodo tour. What you expect on private boat charter to Komodo National Park is you will have everything you need to see. Our private charter boats are customized for a great adventure in a much private service. 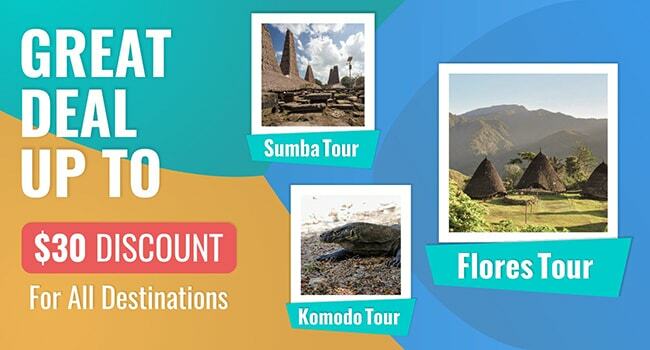 Choose to customize your own way or follow our listed Komodo tour arrangement. Both options will serve in the private, and our tour guide will only serve you along the way. Our private boat charter to Komodo is only available for departure from Labuan Bajo. For the details price, availability, and bookings, you can go to the search box. Komodo island Indonesia being a favorite tourist destination in Indonesia during the last few years. Not only the attraction of the Komodo dragons but also beautiful landscape and underwater life. Best places such as Padar island, Rinca, and Kanawa offer beautiful landscape on tour to Komodo island. And there are also find the best snorkeling and diving spots such as Manta point. For the best beach activity, you can visit Pink Beach on Komodo island. 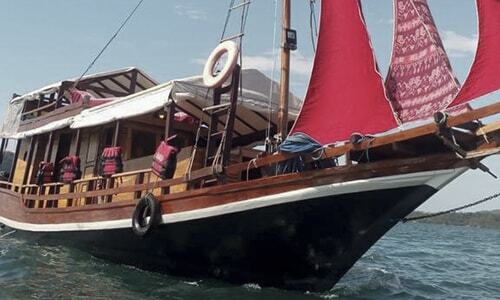 A special offer is also available on a private boat charter to Komodo island. Click here for details arrangement of private boat charter to Komodo National Park. Following the Indonesia special tourism economic area, Labuan Bajo has slightly up its tourism. There are various daily activities to offer, such as Komodo island tour packages and Labuan Bajo day tours. Labuan Bajo tour packages are serving daily from Labuan Bajo to recommended tourist destinations. Flores overland tours and Komodo island liveaboard are also the main holiday activities you have to consider. Flores overland accommodates land tour packages from West Flores include Labuan Bajo to the East Flores. The Flores overland tour is designed for a private serving, you will also allow managing your own itinerary. What you will expect to see on Flores overland is nature, culture, hiking on Kelimutu volcano, and beaches. The tour package to Labuan Bajo also serves from Bali and Lombok. To see the price and schedule details, you can go to the search box. The best you can do when starting the tour from Bali is take a morning flight from Denpasar Airport. Our professional team will welcome you in the Labuan Bajo Airport, and then direct drive you to the dock. 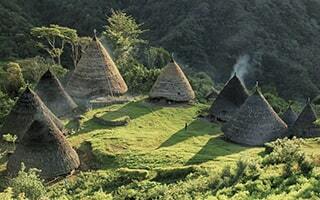 Take 2 days Wae Rebo village tour, visit Denge, Wae Rebo, Canca Village and Lembor. Trekking and find out the history of Wae Rebo. 3 Days Laba Laba Private boat charter from Labuan Bajo to Komodo National Park. Enjoy sailing on our luxury yacht.